Education: Bachelor of Fine and Applied Arts, College of Fine and applied Arts, Khartoum 1967; Diploma in Education, Khartoum Polytechnic 1976. 2000, Sonoma State University, Rohnert Park, CA USA. 1988, Intercontinental Hotel, Riyadh, Saudi Arabia. 1984, Meridian Hotel, Khartoum, Sudan. 1984, Hilton Hotel, Khartoum, Sudan. 1983, Two exhibitions at the French Cultural Center, Khartoum, Sudan. 1982, Kuwait Formative Arts Associations, Kuwait. 1980, World International Property Organizations WIPO, Geneva, Switzerland. 1980, United Nations Palace, Geneva, Switzerland. 1974, Africa Center, London England. 1974, Sudan House, London, England. 1972, Grand Hotel, Khartoum, Sudan. 1965 - 1968 Held three exhibitions at the American Cultural Center, Khartoum. Held more than twenty private exhibitions in Sudan and many other countries. 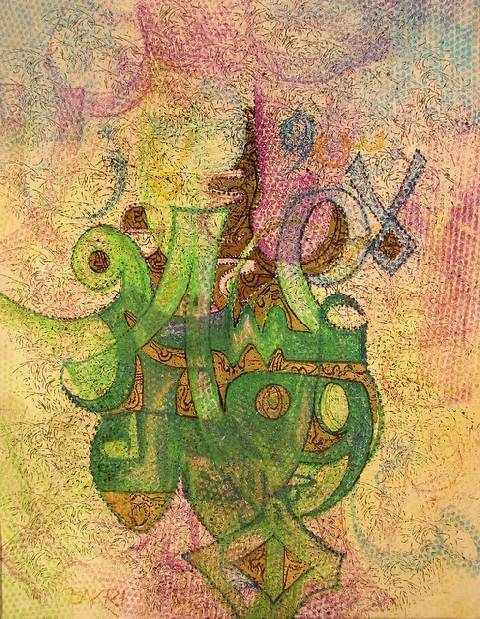 Many of his works are in many public and private collections in Sudan, Europe and USA. One of the builders of modern art movement in Sudan. Featured in many magazines and newspapers articles worldwide including Tribune de Geneva, Journal de Geneva, Alsahrq Alawsat magazine and Alsahrq Alawsat newspaper. 2000, Certificate of Appreciation, Sonoma State University, Rohnert Park, CA USA. 1997, Certificate of Appreciation from Prince Khalid Al-Faisal, Abha, Saudi Arabia. Number of Certificates of Appreciation from Ministry of Education in Saudi Arabia 1984 till 1999. 1980, Certificate of Appreciation from General Manager of World International Property Organizations WIPO, Geneva, Switzerland. Bronze Medal in Cairo Biennial, Cairo, Egypt. Member of the Sudanese Plastic Artists Association. Worked as an art teacher in Sudan. Worked as illustrator in many publication establishments in Sudan and many Arab countries, illustrated more than twenty books. Worked as an art supervisor at the Higher Institute for Drama and Music, Sudan. Worked as a director of education festival, Sudan. Worked as an art supervisor for Ministry of Education in Saudi Arabia. Murals painting in Saudi Arabia. Art Fields Oil Paintings, Illustration, Collage and Low Relief Murals.